Through aWindow is the dramatic saga of thirty years in the life of an intimately intertwined community—one that reads like a novel, but is one of the most important scientific works ever published.The community is Gombe, on the shores of Lake Tanganyika, where the principal residents are chimpanzees and one extraordinary woman who is their student, protector, and historian. In her classic In the Shadow of Man, Jane Goodall wrote of her first ten years at Gombe. In Through a Window she brings the story up to the present, painting a more complete and vivid portrait of our closest relatives.We watch young Figan’s relentless rise to power and old Mike’s crushing defeat. We learn how one mother rears her children to succeed and another dooms hers to failure.We witness horrifying murders, touching moments of affection, joyous births, and wrenching deaths. In short, we see every emotion known to humans stripped to its essence. In the mirror of chimpanzee life, we see ourselves reflected. 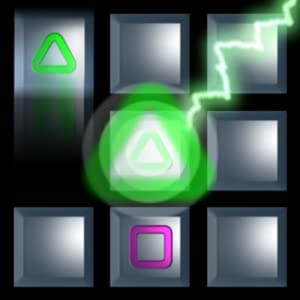 Also you can download DoubleTake for your Kindle Fire for free today only. 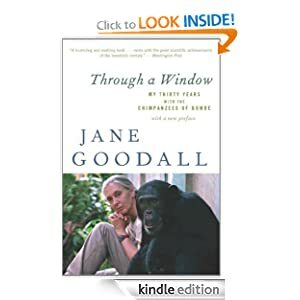 This entry was posted in Kindle Applications, Kindle Apps, Kindle Books, Kindle Daily Deal and tagged DoubleTake, Jane Goodall, Through a Window by Paul. Bookmark the permalink.